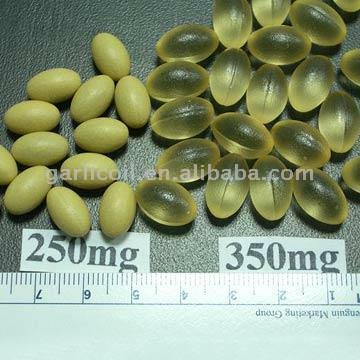 Generic fish oil capsules with meg-3? Discussion in 'Dieting / Supplement Discussion' started by JohnW, May 25, 2008. I'm looking around for a decent fish oil capsule in my area, unfortunately the selection is pretty limited (I'm Canadian). I found one that looks decent, though. It's made by Life Brand (drugstore chain's generic brand), but the label has the meg-3 seal on it. So I'm guessing the only thing the drug store was responsible for is making the outer capsules themselves. Anyone think this would be a decent choice, or should I keep looking? Edit: I wanted to add that these capsules come in a dark plastic bottle that I can see through, but only slightly. Is this a problem? Should be fine. MEG-3 is to fish oil what creapure is to creatine or what Juan Valdez is to coffee. I've used drug store brands before that have the MEG-3 label and they all seemed pretty solid. Enteric coated capsules will look like they're covered in a thin layer of dust. If the capsule is shiny, it's not enteric coated. Basic things to look out for when buying fish oil. preferably obtained from small, cold water fish species (anchovies, sardines,etc.). Smaller fish have shorter life spans so less chance of 'contamination' etc. Where are you in canada? Is there a Costco near you? What about the GNC "Fish Body Oil" Fish oil. It checks out in EPA/DHA/Distillation/Small Fish (forgot to check meg-6) and it's CHEAP. 360 capsules for $32. That's half the cost of what I'm paying for Ascenta liquid fish oil. Yeah, as far as I could tell the capsules looked fairly similar to that. They seem promising, I just figured I'd ask because I've been wary of fish oil supplements since my mom bought a canister of Jamieson ones a year or two ago. The stench was overpowering when we opened the package. She tried to cut one open, and the smell was even worse, and we couldn't get it out of a towel it got onto, we actually had to throw it out. I've been reading up on this stuff again recently, and I'm beginning to think that it was rancid. As far as purification and fish oil sources, is that stuff uniform for all meg-3 products? I'm in Southwestern Ontario, so not too far from the Ontario - Michigan border. There is a Costco nearby, but I don't have a membership at the moment (I've considered getting one on several occasions though). Do they carry a good variety of supplements? That's something I've never really looked for there. Yeah, that stuff is good too. Ascenta is top line stuff though, but whatever your budget allows for. Cool. My wife is from Windsor. Costco in Canada carries a line of supplements called Health Balance, it's pretty good bang for your buck stuff. There fish oil is pretty good too. If you know someone with a membership, ask them to grab you a couple of bottles. I just want a decent, unlikely-to-be-rancid container to start with - I figure I can start looking for a good brand to stick with in the longer run later on. For now I just want to see if I'll even notice any difference with them. I've had issues with the Jamieson brand like you did. A few bottles I've used have been rancid. This was before MEG-3 though. Webber's Brand is pretty good to as they also use MEG-3. That stuff you have should be good, just check every once in a while to see if they're rancid. Just so I understand completely, In an unspoiled container of capsules, should you be able to smell fish at all if you stick your nose right in? The last time we tried getting this stuff, the container itself smelled like we stuck our heads into an orifice of a dead whale that had been lying on the beach for quite a while, lol. Yeah, you should smell some slight fish odour, but it shouldn't smell like some cooch off the rotting corpse of a dead whore. Lol, awesome - I'll keep that in mind. I'm gonna start the trek to the Shoppers' now, I think. Shoppers should have this stuff. I tried the generic brand I was looking at, and they don't seem too bad this time! Sniffing the bottle itself, I barely smelled fish at all, and sniffing the oil from a capsule, it was strong, and fishy, but I don't think it was nearly as offensive as last time. One other question though: the bottle says to store them at room termperature, but I read tat putting them in the fridge is better: any suggestions on that? Couple of things: also check out the triple fish from GNC 2 pills a day instead of your 6 for the same amount of EPA/DHA. Also on any brand of fish there should not be food coloring listed in the ingredients. If it says not to refrigerate, definetly keep in cool, dark place. Not your steamy bathroom. I've done both. Sometimes I'll throw them in the fridge just to be sure, but I've never really had any issues storing them in a cool dry area. Just keep them out of direct sunlight. Hmm, reading through the descriptions of rancid fish oil, I'm having some trouble figuring out whether these are OK or not. The oil inside the capsules still smells really fishy, and some websites just describe rancid oil as smelling "fishy". It's almost as if they're saying fresh oil wouldn't smell anything like fish at all. Wouldn't it smell this way even if it's still fresh? I mean, it's super-concentrated oil extracted from fish! What else would it smell like? I hate fish and rarely ever eat it (thus the capsules), so I don't know the difference between "good-fishy" and "bad-fishy". Does anyone know of a way to describe the difference to someone who avoids fish at all costs? Great posting, Sonny. Good to see you back in D&S. Just wanted to mention that I tried a slightly wussier version of the Sonny test I've read so much about here; I punctured one of the capsules and squirted some onto my tongue. It wasn't so bad, really. It definitely tasted of fish, alright. I'd even call it strong. I didn't really want to swallow it but I didn't have the urge to vomit either. Basically it tasted bad, but not so horrible that I wanted to cut my tongue off. Does this mean that the capsules are probably OK?